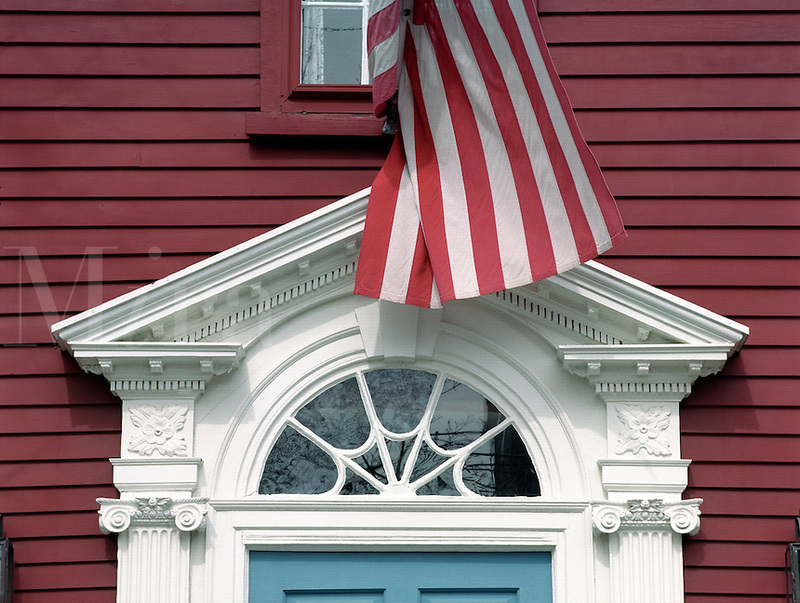 Architectural detail of historic house with American flag. Historic plaque reads: ""Nathan Seamans House, c. 1792."" 14 Arnold Street, Fox Point section, Providence, Rhode Island.